Its been said in other reviews, but I’ll say it again, this book is a charming read. It is so astute and so beautifully written; I was caught of guard by how enthralled I was in this seemingly short and simple tale. The story takes place in the Chinese countryside and follows two city youths, the unnamed narrator and his best friend Luo, being “reeducated” in a mountain village. It is here that the two boys meet the Little Seamstress, daughter of the renowned and highly regarded Tailor. When visiting Four Eyes, another boy sent to the countryside to be reeducated, the two boys stumble upon a suitcase hiding forbidden Western literature. After stealing the suitcase Luo uses the forbidden literature to “culture” the little seamstress and wins her over with his storytelling ability. The narrative flows so well and provides a unique snapshot of a really interesting time. While reading Wild Swans by Jung Chang introduced me to the process of reeducation and the Cultural Revolution, Sijie made it the propelling force of his story. I loved, what I saw at the underlying message in this tale, that no matter what the consequences the desire and love of a good book is something that cannot be sated. My only complaint is that it was too short. 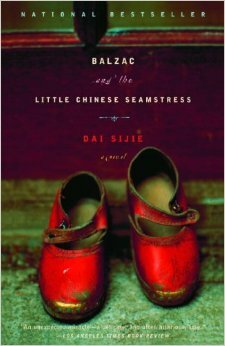 This entry was posted in Reviews and tagged Balzac and the Little Chinese Seamstress, China, Cultural Revolution, Dai Sijie, Novel, Review, Western Literature on March 30, 2015 by kwils3. Think of this as kind of a really life Amy Tan novel; the true story of three generations of Chinese women living in China from the fall of Imperial Rule through to the death of Mao Ze Dong. Chang tells her family’s story in a beautiful and illuminated way. Chang begins with her grandmother, who grew up poor but was taken as a concubine to a high-ranking warlord through the scheming of her father. Despite living in luxury and seeing her husband only every couple of years, her life was still tense and she was never allowed to visit her parents’ home, even after giving birth to her daughter. When the General fell ill, Chang’s grandmother realized that her daughter would be taken away from her by the General’s first wife and fled, sending false word that her daughter had died. She then married a much older doctor and settled into a simple life in Manchuria. The story now moves to Chang’s mother, a strong willed independently minded woman who became completely drawn to working for the Communist Party of China. Chang’s father was also working for the Communist Party and the two fell in love, but still insisted on putting the needs of the party first. The Cultural Revolution started when Chang was a teenager and her part of the story deals with the tumultuous political landscape in China, including her parents fall from favour and the slander, gossip, and corruption that ran rampant throughout the nation. She details her experience being sent into the countryside and the pointlessness of many of Mao’s reforms, now with the benefit of hindsight. Chang ends with her decision to leave China to study in England and how her views have changed since leaving. She is still permitted to visit family in mainland China, although her book was banned in the People’s Republic of China. The unique perspective and storytelling ability made this a joy to read. Chinese history is fascinating, and being narrated through the voices of three women provides a unique perspective. While Chang has the benefit of hindsight when writing, her experiences living in China under Mao are highly detailed and interesting to read. 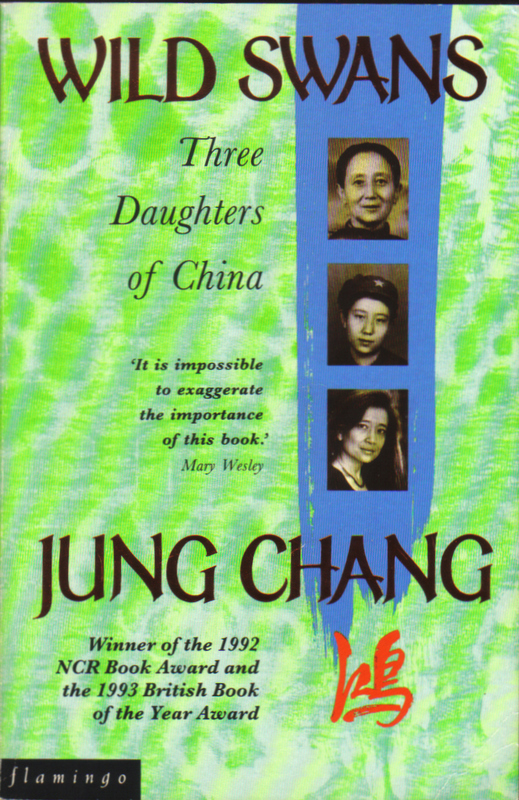 This entry was posted in Reviews and tagged Biography, Communist China, Cultural Revolution, Daughters, Imperial China, Jung Chang, Mao Ze Dong, Memoir, Mothers, Wild Swans, Women in China on February 5, 2015 by kwils3.